The active and passive voice is not difficult to understand if you learn it correctly. Let us take a sentence in the active voice. 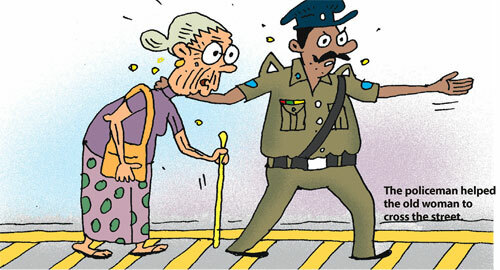 The policeman helped the old woman to cross the street. Here ‘the policeman’ is the subject and ‘the old woman’ is the object. It is in the active voice because the subject does something and it is prominent. We can state the same facts in a different way. The old woman was helped by the policeman to cross the street. Here ‘the old woman’ is prominent. The sentence is in the passive voice. Active and passive voice sentences have the same tenses. Note how an active voice sentence in the present progressive tense is turned into the passive voice. We drop vague pronouns in the passive voice. Note: to make the passive voice, we use ‘be verbs’ (am, is, are, was, were) + the past participle of the verb. A lot of paper is used in this factory. Television programmes are watched by millions of people. Stamps are sold at post offices. Cricket is played by two teams. Here’s a novel method of enriching your vocabulary. Match the words in column ‘A’ with their meanings in column ‘B’ and check your answers with the key. The first one has been done for you. The boys are not studying. The girls are not dancing. We haven't seen the new film. You're coming with us, aren't you? She says she can't come. Joe hasn't got a violin. When there is more than one auxiliary verb, we put ‘not’ or ‘n't’ after the first one. 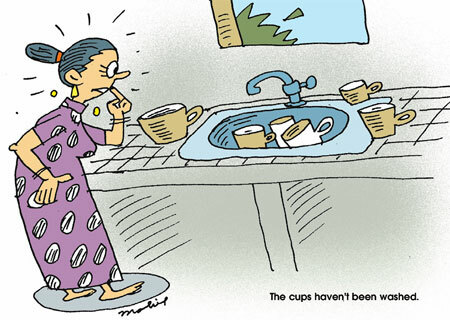 The cups haven't been washed. The students haven't been taught English. We use a form of ‘do’ in the present and past simple tenses. She does not write to me regularly. I didn't enjoy the party. They don't teach us English properly. We use ‘no’ before a noun or an adjective + noun. The verb is positive. No liquor is served in the hotel. There are no new recruits in the company. There aren't any new recruits in the company. We make a question negative by putting ‘n't’ after the auxiliary. Haven't you read it yet? What doesn't he tell you? The use of negative yes / no questions. Haven't you applied for the post yet? Don't they want a salary increase? A question with ‘can't’ can be a complaint or an impolite request. Can't they use their common sense? Why don't they come early to the class? Why don't we listen to him? Why didn't you tell me early? Who hasn't filled their application forms? Why didn't the people vote for him? 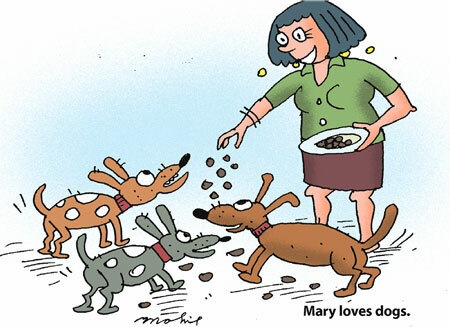 An idiom is a special kind of phrase which has a different meaning when used together from the one it would have if the meaning of each word were taken individually. In the following quiz tick off the meaning you think is correct and check your answers with the key.